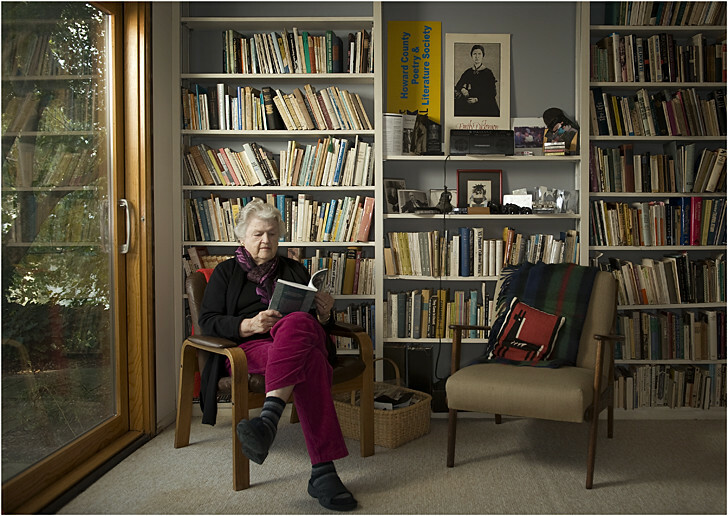 Ellen Kennedy reads in a corner of her home office, which for many years was the headquarters for HoCoPoLitSo. Kennedy founded the Howard County Poetry and Literature Society, and served for many years as its President and Executive Director. It is hard to imagine a room more stuffed with literary memorabilia. HoCoPoLitSo has for decades worked to further the appreciation of literature and poetry in Howard County and beyond. And that history fills this room. Since its founding in 1974, the organization has hosted countless readings and literary events. HoCoPoLitSo also produces the local-access TV show The Writing Life. HoCoPoLitSo's administrative headquarters have been moved to Howard Community College. But the contents of Ms. Kennedy's home office are being transferred to the Columbia Archives for preservation.